A WOMAN who was killed inside her home had complained about a stalker who called himself the "reaper", called her up to 100 times a day and left messages telling her to die. A spokeswoman for NSW Police said a visitor discovered her dead early this morning after suffering extensive injuries from a sharp object to the head and upper body. A five-month-old baby boy was also discovered unharmed inside the home. 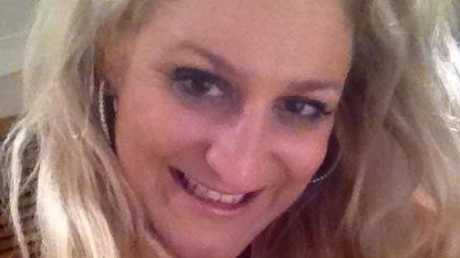 In chilling Facebook messages on Kristie Powell's Facebook page - in the months leading up to the grim discovery at her Wollongong home overnight - the 39-year-old said she stopped answering private phone calls because she had a stalker. 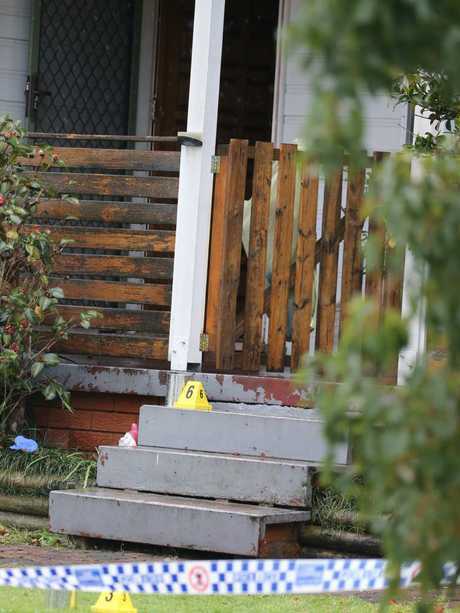 Police say the 39-year-old woman's death is being treated as suspicious after her body was found inside the house on Lorking Street in Bellambi in the early hours of Friday morning. 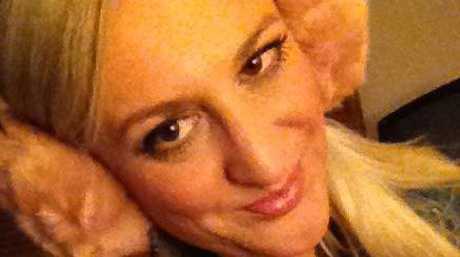 In May, she told her friends they shouldn't call her on a private number because she was allegedly being harassed by a man who left messages saying "Die Kristie Die"
"He is mentally unwell & I have contacted the police about him on a few occasions but there is nothing that they can really do as he is considered nonthreatening!?" she wrote. "But none of them make any sense! He calls himself the Reaper & thinks that he is way more important than he is. Most of the time it is highly amusing & entertaining really. He needs serious help but the mental health system just keep releasing him." Her Facebook page also documents how she searched for 22 years for a partner to have children with, but gave up and decided to try for her "very own perfect little prince". "So after 22 years of dating & meeting many many many suitors that didn't suit I'm excited to announce that I'm now making my very own perfect little prince who will love me & stay with me forever … (who) is due to join the world in a few months time," she wrote. "I can't thank my beautiful family & friends enough for their ongoing loving & encouraging support! I wouldn't be able to do this without you!" In May she wrote expressed her joy at giving birth to a baby boy "Last night at 9:26pm I officially became a Mummy!" she wrote. "He is my perfect prince now & forever more. I can't wait for everyone to meet him. We are both doing very well & hope to be home ASAP." Just days later she updated her friends and family to say she was back home after some initial health concerns. "After some initial health concerns & mummy having a mini-meltdown in the hospital my little … prince & I have finally made it home!!" he said. " … so happy to be home & starting our new life adventure together. I'm so in love with my little man." A spokeswoman for NSW Police said a visitor discovered the woman - who had suffered extensive injuries from a sharp object to the head and upper body - about 1.10am and called emergency services. 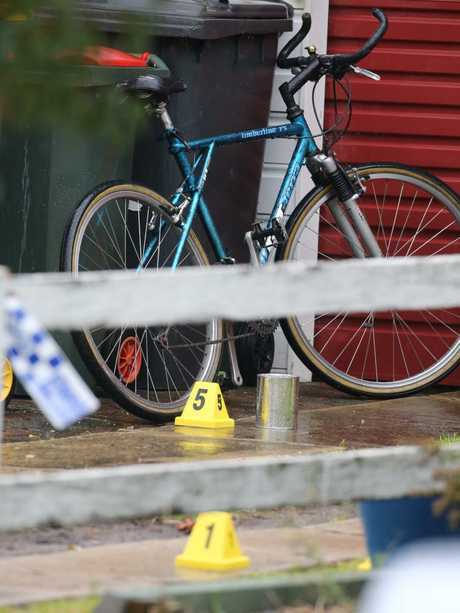 Neighbours have described their shock at the dramatic scenes unfolding in the quiet suburb this morning. "(It's a) pretty quiet, nice area. The only people that come down here, live here," one told Nine News. Others told Fairfax they've seen the woman walking in the street with a pram and expressed shock at being woken by police in the early hours to say she had been killed. The police spokeswoman said it was unclear where in the home the baby was found. 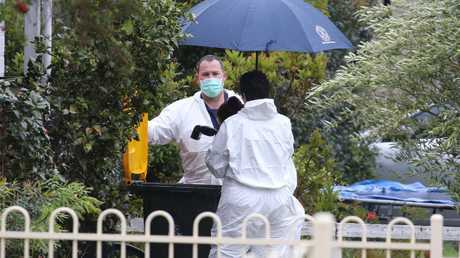 Officers from the Wollongong Police District have begun an investigation and are forensically examining the house. No one has been arrested over the death.